Connect faster and more accurately than ever before. 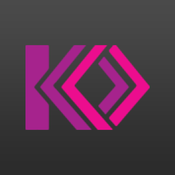 Konnect is the free app that lets you connect by not only exchanging phone numbers, email address, website and address but also connects you on many of the social networks of your choice, including Facebook, Twitter, Snapchat, Instagram, Google+, Pinterest and LinkedIn. 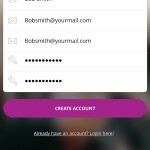 You can exchange all information with the touch of a button or select the information you wish to share, any contact details exchanged will be saved as a new contact in your phone. The newsfeed shows you all the details you have exchanged and whom with, you can even see who your friends have connected with. 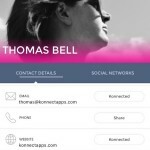 Konnect friend profiles also show who you’ve connected with and in what social networks, you can invite your friends to join new networks or contact them by clicking on there contact details. So for social or business the fastest and most accurate way to network is with Konnect. Konneting people quickly and efficiently!